A true theory of quantum gravity should replace our present concept of Spacetime at a singularity. It should give a clear-cut way of talking about what we call a singularity in classical theory. It shouldn’t be simply a non-singular Spacetime, but something drastically different. No one has seen a singularity; it’s only calculations that insist they must exist. A singularity is different from ordinary space. General relativity says that a singularity is how the universe began. 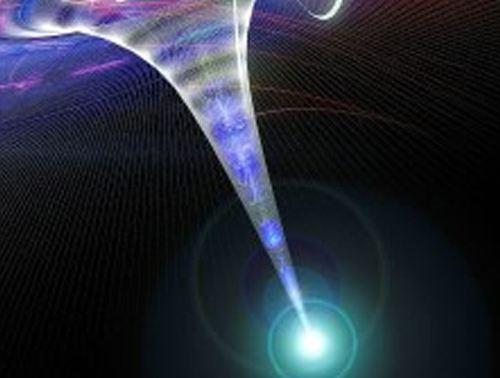 That is to say another theory is needed because at a singularity GR breaks down. Few physicists believe the universe came from a singularity. Penrose and Hawking put singularities firmly on the universe’s map. Their common name embodies an odd property―not even light can get out once it’s in the trap. They form when mass falls onto something massive, say a star; in the end its mass becomes too much. The pressure at its center becomes bigger than the force that keeps the sub-atomic particles apart. Physics says the mass collapses in a little heap. If there’s enough it squishes in a heap that is supposed to have no size. It’s not the kind of thing that one can check, but physicists set out to calculate what happens to the matter as it squishes. Some say its size can’t get right down to zero. But physicists can’t settle on a place for it to stop. One might think that they could pick a size and stop there. But if they do the answer hinges on what size they pick. So they let it go to zero, then they wrestle with infinities. It seems they need a size below which matter cannot go.